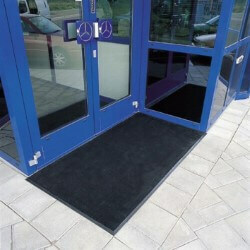 Oct-O-Flex is a heavy duty rubber outdoor entrance mat made to withstand the harshest weather conditions. The unique design has holes to drain water and debris away from the entrance, while the smooth top surface and beveled edges on all four sides makes it wheelchair and cart friendly. 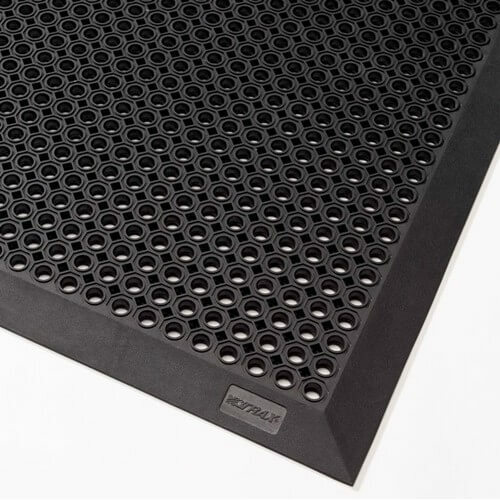 A raised knobbed underside helps to reduce mat movement. 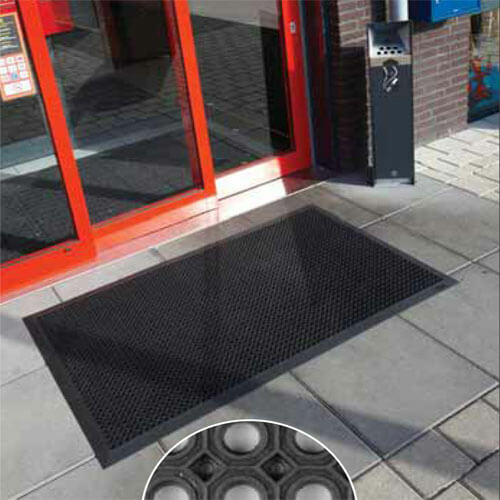 Ideal for outside high traffic areas; schools, retail stores, hospitals, nursing homes and areas with carts and wheelchair traffic. 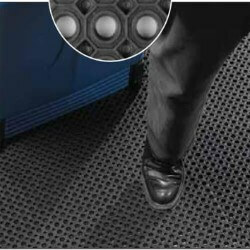 Overall thickness 1/2". Production time: 3 to 5 business days. 2. Multi-hole drainage system channels water and debris away from walking surface. 3. 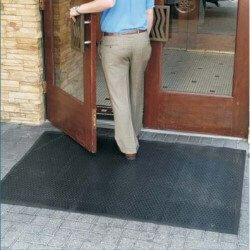 Molded beveled edging on all 4 sides reduces trip hazards and allows for cart and wheelchair traffic.